Spiritual insights into the current influences of our Star the Sun, the Planets and constellations and their influences. The Sun enters Aquarius on the 20th Jan and the beginning of our newfound freedom that hasn’t been witnessed before. Everything is changing especially ourselves. From the 7th January all planets are moving direct up until the 10th April 2019. The indications of this is that what ever we each decide on or undertake should flow easily and manifest without any hindrance. So it’s a chance to get anything you wish to manifest, it’s no big deal, its easy everything is working with us now. Mercury Pluto and Saturn all oppose the Moon giving a feeling of unleashed emotions with matching words! These are all aspects of ourselves that create a change, it cannot be ignored as Saturn and his influence is felt and noted so there is a feel of big emotional upheavals yet grounding these energies to make them viable now, to manifest whatever we are hoping to achieve this is really possible now. This is walking our talk and saying how we feel, feeling these energies intensely there’s no place to hide here at all and so much more is coming to the surface now to be released for our highest good so although this may well be trying it’s a good leverage where communications are powerful and will make all the difference in our lives coupled with impatience as we cannot take any side steps. 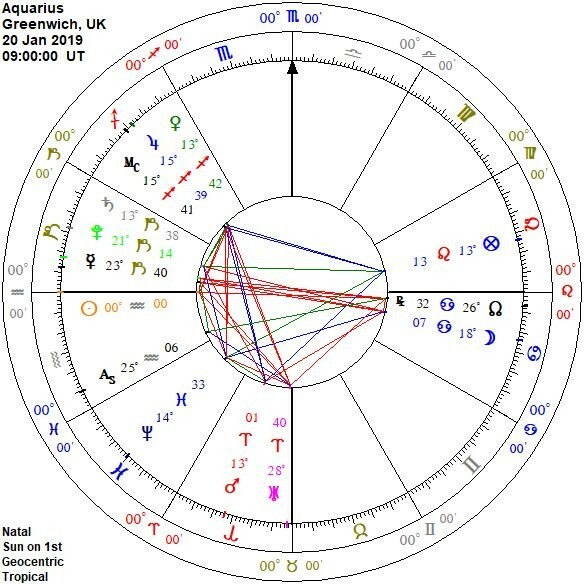 This is Saturn, Sun with Uranus we are being invested with positive energies that change life for each of us but be aware there are so many months ahead where we ground and sort out something of importance to us personally it’s a piece of the puzzle. Now we can create anything so it’s best to keep our mind set on what we want and look an all prospects good or challenging as we are moving forward unprecedented. Whatever we set out to achieve, we can do it. Be aware Jupiter connects with Venus and Mars so there so many opportunities for expansion money should prosper especially if things have been a bit tight. However you need to watch your expenditure to make this work as all is moving forward, we have so much, all is looking good be conscious of where we are going challenges, as well as opportunities just watch how things develop, there will be areas that just cannot be ignored yet we will face theses with valour, like warriors of light. The Cancer Moon is the ever flowing river of life, there to reflect all we feel with strong boarders to channel this energy, and she’s strong opposing Mercury, Pluto and Saturn. She wants to care for everyone this is the nurturing qualities and demands that everyone is taken care of irrespective of race, light or brown doesn’t matter and I feel this in very much within our philosophy right now. On the 21st January and eclipse of the Moon. This feels like a tidal wave of we-the- people, intense energies coming to the surface of what’s happening, no more waiting we want change now and it is happening this kind of energy will take us through the rest of the year too, each month another grounding further refining to get life perfect for us. However this is a Leo Moon and Aquarius Sun, out with the old king and in with the new, new beginnings but it’s something we will go through in order to achieve this. The past is gone and this now is a new era. The 30th January and Sun, Mercury conjunction fast news. Followed by the 31st January a major conjunction of Venus all indications are a raise in energies for sure. Able to harness this energy all to our abilities while big changes, a surprise, an upheaval, yet it’s favorable. This energy is absolutely potent, so I feel it’s a possibly connection to a global upheaval of some kind as its leading us to the 2nd of February a major conjunction for the Moon and Saturn where we have a chance to reflect on our strategy frame-work of where we are letting go once again that which we don’t have time for us and choosing just what we want to spend our time on, to manifest so we channel our energies into what we need right now, this energy is on-going until we have structured our lives in such a way that we reclaim our birth right. By the 8th February, Sun, Jupiter excellent connection will last for about 4/5 days this energy is full of inspiration good for writing, exam work, legalities and basically expansion, thinking outside the box so with the earlier grounding that we received from Saturn we can expect to expand and manifest now, Mercury enters Pisces on the 10th February so much has been going on and now time to digest take it all in. On the 14th February Mars enters Taurus. He’s not overly happy here as we are connecting to what we have and haven’t done, the ego takes a hit, however with all the Saturn influence I don’t think this will be a problem and sometimes we need to be reminded on what we to be grateful for.